Mumbai Indians (MI) will lock horns with Royal Challengers Bangalore (RCB) in the match no 31 of VIVO Indian Premier League (IPL), 2019. The match will take place at Wankhede Stadium, which is Mumbai team's home ground. Mumbai Indians has earned 8 points so far, while RCB has only 2 points to their name. Last time Mumbai and Bangalore faced each other at M Chinnaswamy Stadium in the game no 7 of IPL 2019. MI won that match by 6 runs after posting a total of 187 runs. RCB lost six matches in a row in this season of IPL before winning their first against Punjab. Let us have a look at the weather and pitch at Mumbai for the upcoming match between MI vs RCB. Mumbai Indians vs Royal Challengers Bangalore Live Cricket Score 31th T20 Match. The weather in Mumbai will be very hot and humid. Dew factor will also come into play in the second inning. 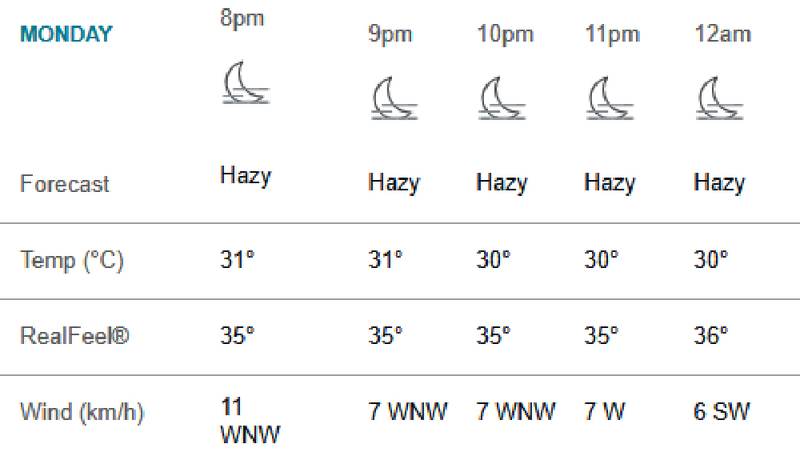 As per accuweather.com, the temperature will be around 31 degree Celsius when the match will begin at 8 pm. The wind will flow at a low pace of around 7 kmph. MI vs RCB, IPL 2019 Match 31, Key Players: Virat Kohli to Kieron Pollard to AB de Villiers, These Cricketers Are to Watch Out for at Wankhede Stadium in Mumbai. Pitch Report: The pitch at Wankhede always assist the batsmen, therefore we can expect a high scoring game, especially when the game will be played under lights. Dew factor will come into play later in the evening, so the team winning the toss should bowl first.